Is the film well made? Yes. Does the acting and storytelling live up to the hype of film festival and other critical reviews? Mostly. 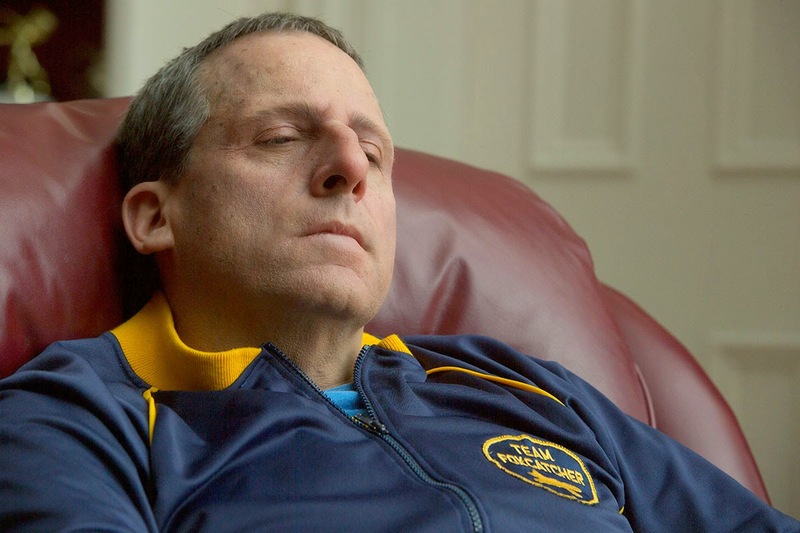 Will "Foxcatcher" be an Oscar contender? Maybe. And do I recommend this film to others? Well, sort of. After months of waiting and careful travel planning to see "Foxcatcher" -- on theatre screens in only a few cities until later this month -- I pinned hopes very high, elevating the true crime drama to "must see" status for several weeks. Though I do think audiences will flock and rave about "Foxcatcher," and it is worthy of high praise, it did not live up to the must experience level of expectations this writer set for it. It is a great match of writing, acting and mood-setting cinematography, yes. But I walked away wanting something more. It's definitely not a "feel good" film; in fact, one critic described "Foxcatcher" as the perhaps "the feel-bad movie of the year" -- a distinction also appropriate for "Gone Girl," which I enjoyed twice in spite of its dark and twisted themes. By comparison, "Foxcatcher" is not a film that left me thinking or saying "I want to see that again" and though it's likely I'll watch it a second time, it's not likely I'd pay a second or third time (for this writer, a gauge of any film's "must see" status is the desire to repeat screenings with friends or family). 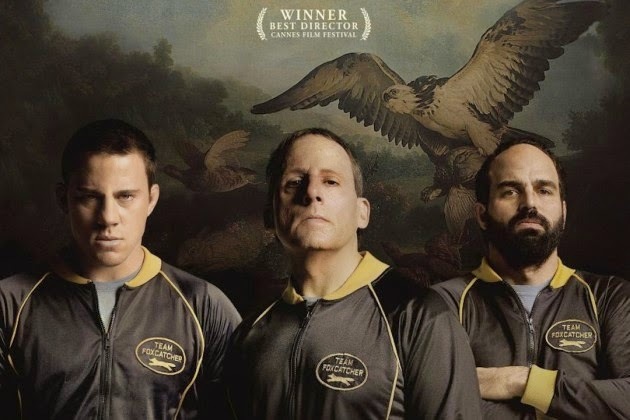 What's to like about Foxcatcher? Steve Carell portrays John du Pont with vigor, becoming the deranged killer in a manner reminiscent of Jack Nicholson in "The Shining," with Carell's eyes taking on a lunatic gaze with great effect. According to press materials for the film, Carell and his cast mates had an unusually long range of time, and volumes of material including video, to research their characters. The three main actors' investment of time in thorough research pays off big time in "Foxcatcher." shoulder" I found to be part of the Olympic gold medalist's autobiography on which "Foxcatcher" is generally based. As in the book, on screen here's a guy with a lot going for him but a background that made him his own worst enemy. It is interesting to me that Tatum described Mark Schultz in a manner on par with my book review of "Foxcatcher" and its author. "I don’t think anybody could punish Mark more than he could himself and I think he hardens himself against the world by punishing himself," said Tatum, in the film press release, an apt statement. as did the real-life Dave Schultz -- which makes the on-screen murder scene all the more appalling. Many in the theatre cried out in shock or dismay with Carell's delivery of du Pont's final words to his victim, "You got a problem with me?" Viewers get a deep dose of the brotherly love between David and Mark, and the unique paternal role the older brother played in their shared experiences. This is Ruffalo's best work I've seen, and it is worth the price of admission to learn more about the person the elder Schultz was (there's a lot to be learned from Mark as well). 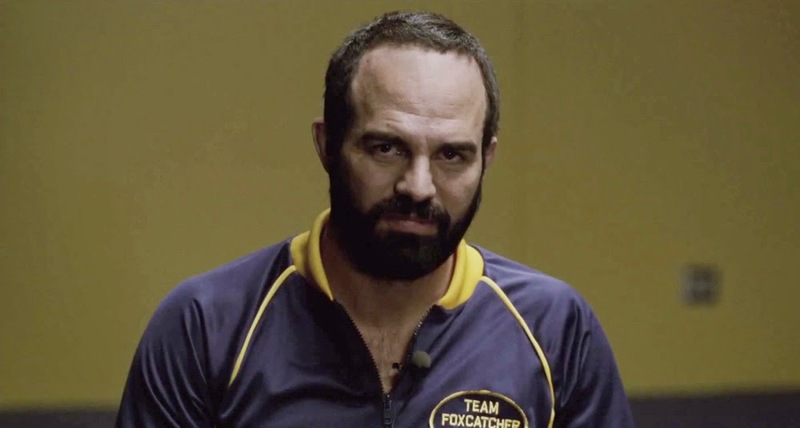 The team from "Foxcatcher" did their homework on Olympic freestyle wrestling and it shows. Before a summer 1995 internship at USA Wrestling, I knew next to nothing about the sport (and still have lots to learn). But even with limited recollection of the official sport and its scoring, the wrestling in "Foxcatcher" seems real because it is real. From a U.S. Olympic Committee blog post -- a personal review by my former USA Wrestling boss -- I learned the lengths to which the filmmakers engaged the sport's national governing body for expert input and authenticity. It is fun to spot cameos by Olympic wrestlers including Bruce Baumgartner, Mark Schultz (the real one) and others on screen, and I suspect in their time working out or training Ruffalo and Tatum they also gave insight to the Schultz routine and their POV on du Pont. world of championship show horses. 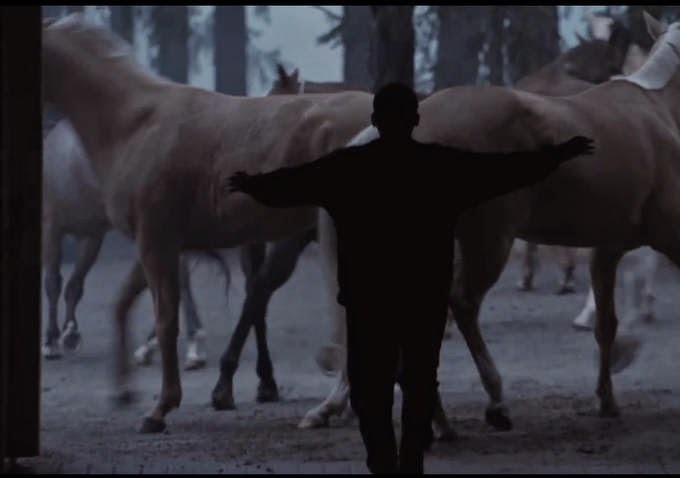 A favorite non-wrestling scene includes Carell's portrayal of du Pont reacting to his mother's death by casting out her prized equine collection, again with a creepy and somber intensity that nails it. Back on the wrestling mats, I enjoyed the authentic scenes showcasing the Los Angeles 1984 Olympic experience and Seoul 1988 Olympic trials and competitions right down to the bunting and uniforms. Though executed on screen with timing tweaks different from Schultz's book, the events are intense and well-played. What's not to like about the movie, and answering the question, "Do you have a problem with me [the film]?" Yes, for this Olympic blogger there were some problems with "Foxcatcher." I wasn't keen on how the filmmakers addressed cocaine use by du Pont and Mark Schultz, whose book mentions this topic with some explanation. The filmmakers took a lot of liberties and changed the context of the drug use, not for the better. screenplay scene describing a haircut Shultz gave du Pont, set up some shots that ever-so-subtly make a case that the coach and athlete duo had a more intimate or even a gay kinship. This seemed to stray way too far from the facts described in Schultz's true text. Though necessary to condense the story, I wasn't crazy about the abbreviated timeline of events. Mark Schultz exited Team Foxcatcher just after 1988, and Dave died in early 1996, but the film does a mash-up of these distant events that was artistically decent but bothersome for me (if going for accuracy on the wrestling mat, why not replicate the accuracy in timing?). In spite of input from award-winning musicians including Mychael Danna ("Life of Pi"), the "Foxcatcher" soundtrack selections made no impression for this viewer; seemed like a missed opportunity to engage composers with strong Olympic and/or sad soundtrack creds (think John Williams and "Munich" or "Schindler's List" themes and his other five-ringed compositions). The official film press kit for notes the director, Bennett Miller, says of "Foxcatcher" and his other true crime works "Capone" and "Moneyball," (the latter of which I admired), "It's fact to fiction as a vehicle back to the truth." O.K., fine. But what about "the truth is stranger than fiction" as food for thought? Should folks see "Foxcatcher?" Yes. It is a solid film. Just don't go into the theatre pinning hopes too high for the experience. Follow Up Note (December 27, 2014): Upon viewing "Foxcatcher" for the second time today, I'm writing to amend previous remarks about the music. While I stand by my previous comment that a John Williams composition may have been appropriate, I did pay closer attention to -- and enjoy more -- the Mychael Danna works that unfurl between long silences of the film. There's some strong, albeit somber, piano notes that set the tone for many scenes. As in "The Ice Storm" -- another dark film for which Danna contributed music -- this film is served well by its score. Foxcatcher is definitely worth the time to watch. Great movie.